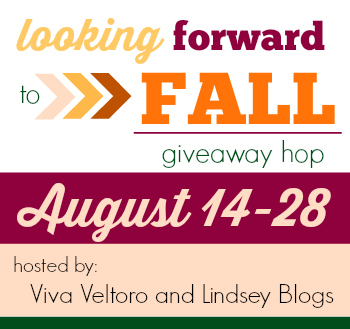 Welcome to the Looking Forward to Fall Giveaway Hop, hosted by Viva Veltoro and Lindsey Blogs. Summer is coming to a close, school is starting soon and it’s time to start looking forward to Fall. Each blogger in this Event has a giveaway worth at least $25 – so be sure to hop around to them all below! Did you have a charm bracelet as a child? I don't recall having one myself, but I do recall always wanting one! Even as a child, there was just something that appealed to me about a piece of jewelry that I could customize to include every important moment in my life. As an adult, this still appeals to me. This is why I fell in love with Origami Owl from the moment I discovered them! 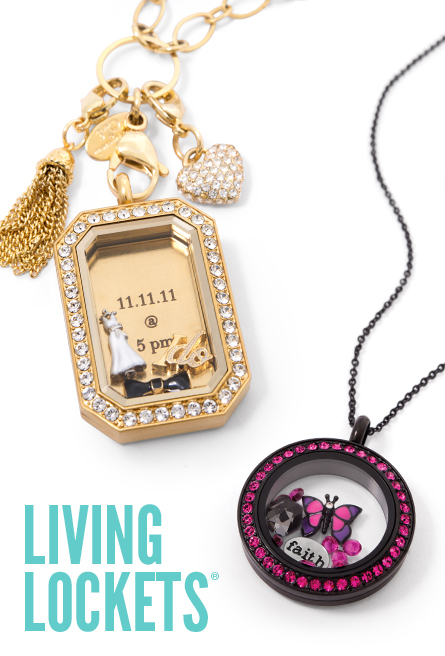 Origami Owl took that idea of a charm bracelet and modernized it into a beautiful living locket with removable charms to tell our story. A story of love, a story of friendship, a story of life. Charms were inexpensive and easy to change for every season, every life change or every occasion. It was pretty hard not to fall in love! Since then, they've grown to include not JUST necklaces, but bracelet, watches, earrings and more... there truly is a little something to help everyone tell their story! 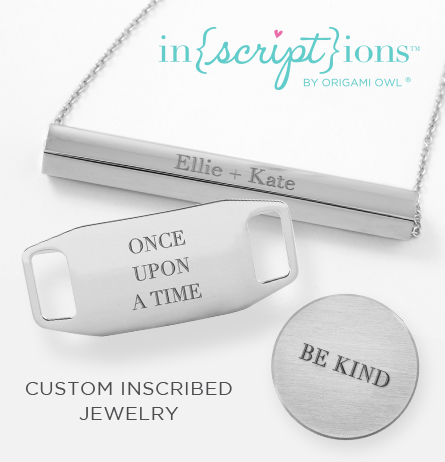 I particularly love that they now offer inscriptions for a truly one of a kind piece! But perhaps one of the most fun parts of Origami Owl is that they give you a chance to earn your jewelry for FREE! Simply host a party, invite your friends to shop and earn wonderful hostess rewards like free and half price jewelry! With online parties, you can even party from the comfort of your own home without even changing out of your PJs! Pretty fun, right? And if you absolutely, positively cannot get enough, you can become a Designer yourself and make money while sharing what you love! 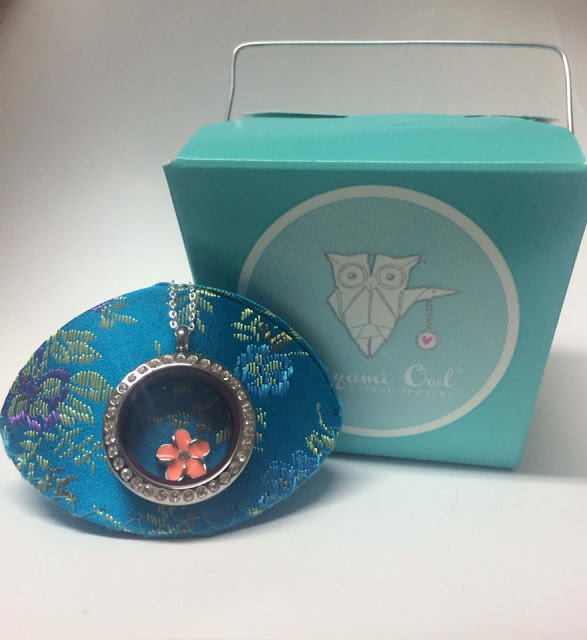 And as part of the Looking Forward to Fall Giveaway Hop event, Barbara has generously offered one lucky reader the chance to win the locket pictured below. Winner will be contacted via e-mail after giveaway ends, and will have 48 hours to respond before a new winner is chosen. One entry per household, winning entry will be verified. Odds of winning depend on valid entries received. A Modern Day Fairy Tale is not responsible for prize delivery. So Easy Being Green, Viva Veltoro, and the Looking Forward to Fall participating bloggers are not responsible for sponsors who do not fulfill prize obligations. I love all of the crystals!! Im such a sucker for anything that sparkles!! I also love the angel wings charm to remind me of my dad who is watching over my son and I every day. I love the hummingbird charm, the heart shaped husband and the baby feet charms. I love the ladybug charm, silver elephant charm, and the four leaf clover charm. I bought an Origami Owl pendant a couple of years ago and chose a cross, a book and a little boy with my grandson's birthstone! I love my necklace and I would love to win another! I would love to add a cross charm to my necklace. I love the mom charm and anchor charm. I like the Dragonfly and Fuchsia Signature Hex Swarovski Crystal. I love the birthstones and the butterfly charm. I love the TRUST" TANZANITE SWAROVSKI CRYSTAL PENDANT. I love the April birthstone as well as the Celestial charm. I love the cat charms and the beautiful REVERSIBLE METALLIC CRYSTAL COMET ARGENT LIGHT SIGNATURE HEX SWAROVSKI CRYSTAL!